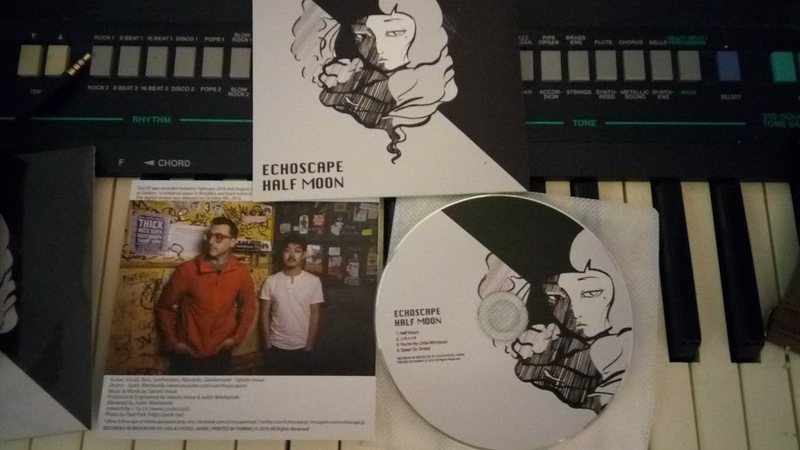 I’m really honored to have taken part of this amazing EP by Echoscape and am featured in his new music video which was half produced here as well as in Japan. Echoscape is Satoshi Inoue who writes all the music and plays most of the instruments. On “Half Moon” I played the drums as well as helped record and produce the EP. This entry was posted in Japan and tagged echoscape, echoscape records, echoscapes wausau, echoscapes wisconsin, madewell echoscape earrings, math rock, math rock bands, math rocket, math rocket game, math rocks, math rocks clip art, math rocks plano, mathrock bandcamp, mathrocks4kids on February 28, 2017 by DemonicSweaters.